International economic integration is an inevitable trend which has created both opportunities and challenges for all economic sectors, including banking services, and managing risk in the banking system is economically important. The remarks were made by Nguyen Van Giau, governor of the State Bank of Viet Nam (SBV), at the ninth Asian Banker Summit 2008, which was held in Ha Noi for the first time on March 17-19. He said thanks to efforts in recent years, Viet Nam’s banking system has developed well in both scope and scale. In particular, the central bank has made a great effort to monitor monetary policy and to stabilize exchange and interest rates, thus helping to control inflation and boost macro-economic development. However, it is difficult for the central bank to stimulate the country’s economic growth when inflation is rising dramatically and the country might be influenced by the potential economic slump of the US, he added. After Viet Nam joined the World Trade Organization in January 2007, foreign investment increased, Mr. Giau said. However, the country’s ability to use foreign capital is low and this poses a challenge for risk administration and management activities. The governor said he hoped the Asian Banker Summit 2008 will be an opportunity for Viet Nam’s banking and financial sector to learn from the experience of other countries in managing risk. At the yesterday conference, participants focused their discussions on issues relating to the current development of global financial system and shared experiences in the management and development of the sector. They also discussed development and cooperation strategies between banks and risk management in banking systems and made an assessment of the effect of credit risk on banks in the Asia-Pacific region. Other issues to be discussed at the summit are dialogue on banking regulations, banking technology and cash budget and trade. The summit, organized by Asian Banker and the Viet Nam Banks Association, featured presenters from the Banker Association for Finance and Trade, New York Mellon Bank, HSBC, JPMorgan Chase, Malaysia’s Maybank, and Standard Chartered Bank. More than 500 chief executives, leaders and senior officials from financial institutions as well as senior regulators, analysts and investors from Asia and other countries participated in the summit. The fact that the Asian Banker chose the Vietnam Banks Association as a co-organizer of the event showed an increasing important role of Viet Nam in the regional financial sector, Emmanuel Daniel, president of Asian Banker, told the conference. 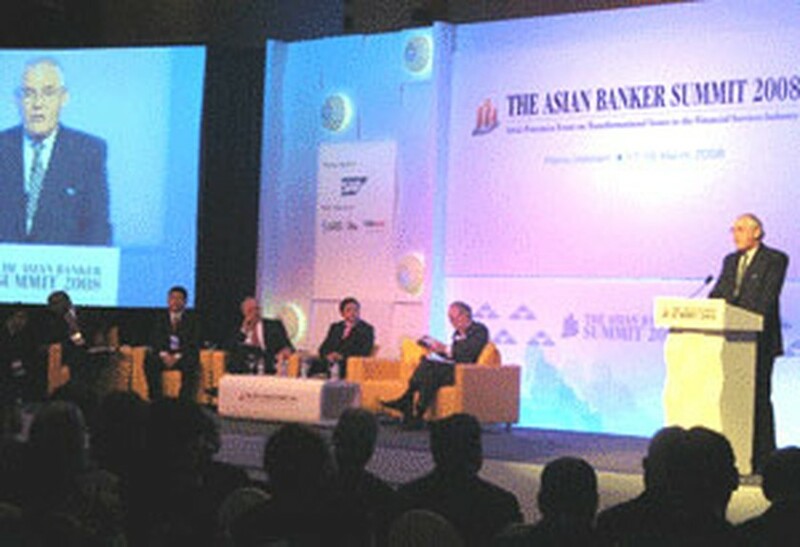 The Asian Banker Summit has met every year since 2000. It is Asia’s foremost event on issues in the financial services industry.